As part of my Memoir March challenge, I posed a two-part question to several memoirist friends. What was the most difficult part of writing your memoir? How did you overcome this difficulty? Here are the answers I got in four earlier essays: To Drink from the Silver Cup by Anna Redsand, The Spoon from Minkowitz by Judith Fein, Ketchup Is My Favorite Vegetable by Liane Kupferberg Carter and All Dogs Go to Kevin by Dr. Jessica Vogelsang. This, the last installment in the series, is a bit different. Rather than looking back on the writing of his memoir–which I’ll get to, at the end–Manfred Wolf directed me to an essay he wrote in advance of publishing it. I admire the essay’s honesty, how it showcases the uncertainties that most of us have when it comes to writing our lives. It’s from a book called Almost a Foreign Country. For several years now, I have been working on a memoir of my childhood and adolescence in the forties in Curacao, a Caribbean island in the West Indies. Several sections have been published in a variety of literary magazines, and the generally warm response I have had has encouraged me to keep writing. But I often ponder this strange activity. Why am I really doing this? In the great glut of memoirs, is one more really necessary? What will mine accomplish? Well, aside from the satisfactions of ego, I think something is gained by rescuing this odd slice of life from oblivion. The late forties, as lived by Dutch-speaking refugees in an exotic outpost of the Kingdom of the Netherlands, under the long shadow of the war–isn’t this worth reviving? Who would know anything about it after the handful of people who lived through that experience are dead? So my aim is to show something about that time and place, to tell something about my family, and finally to reveal a bit of myself and to depict how all of it was affected by the European catastrophe that changed all the principal characters forever. 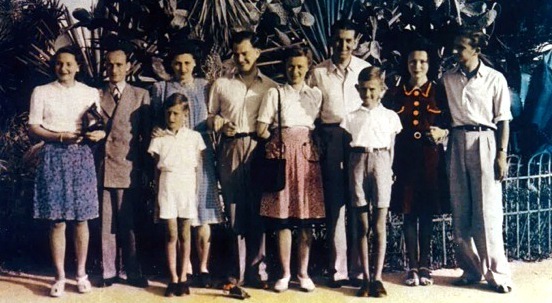 Manfred Wolf and his family in Nice. He’s the small boy on the left. And the place makes it a story of three cultures. Here you have the local Curacaoans, resilient descendants of slaves; the Dutch, colonial functionaries, well-intentioned but myopic; and the Jewish refugees, relieved to have escaped, but bewildered and upset. Even in this latter category, to which our family belonged, there were serious divisions. The recent refugees from Europe were Dutch, while earlier Jewish settlers on the island came from Eastern Europe. Most important to me is to tell the story and show how we all collided, lived together, got along, and to do so, I tell certain incidents that should bring it all to life. Whether these concern my grandfather entertaining an American gangster who pretended to be an orthodox Jew, or the time one of my teachers tried to capture a small wild donkey and put the animal in the back seat of his car, from which it promptly escaped, or a hapless, furtive, deranged man in our Surinamese detention center who had to leave his family behind in wartime Europe, my aim is to have them be real and thereby show the pathos, the humor, and the oddness of that time. And that’s of course where the problems of turning memory into writing begin. For instance, my father comes across in a much livelier way than my mother, because my father had certain peculiarities: he was self­ absorbed and unseeing, but eager to dispense a kind of Jewish folk wisdom; he was often unintentionally funny. My mother, on the other hand, whom I felt closest to, was a peace­ maker, a diplomat, a woman with strong opinions but mild, soothing manners. She tends, at this stage of composition, to be a paler character in the book. Some of this is not only due to problems of literary form but deficiencies of the writer. I may not be able to handle subtly difficult characters, just as I’m not very good with descriptions. I have the most difficult time bringing out the sound, smells, sights of the island. I am not as observant of landscape and setting as I am of people, their moods, the way they ‘think, their turns of phrase. And I appear to be most retentive about what they said and how they spoke all those years ago. So I find it easy to render dialogue, much of which I remember, some of which I reconstruct. Which leads, of course, to one of the dirty secrets of memoirists. Do they, we, remember or invent? For myself, I say that I remember a good deal, but, oh, how I wish I had kept a diary or a journal! Nothing will bring back all the detail of that period the way a journal would. Still, even without a diary, I remember with the utmost clarity when my fifth-grade teacher lit a whole series of cigarette lighter and asked the kids which one gave the brightest light, or the day our biology teacher was told, in that curious, chanting way the Curacao kids had, that the “missing link” was actually a fellow pupil in class. While some memories are astonishingly clear, I do stylize and retouch, and I do occasionally streamline two characters into one. 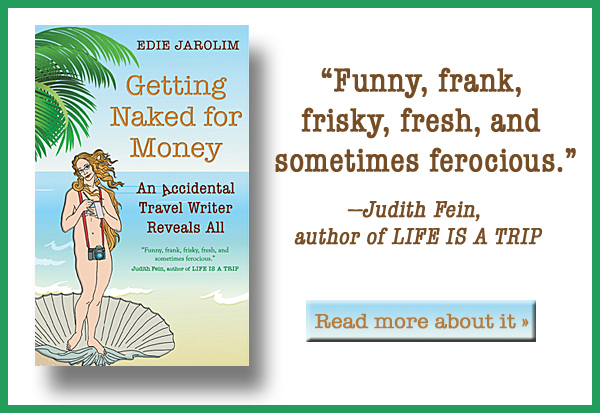 To that extent, this memoir, like others, is a kind of fiction. And a similar artistry is at work in the structure of the book. But as I write it, that is still not my biggest worry. My biggest worry is that the sort of kid I was is just not exciting enough for a book: I was observant, old for my years, cautious, judgmental, level-headed, well-read. I had my hopes and dreams and conflicts, and I tried to escape pain by dreaming of the future, but is it enough? 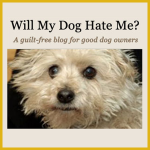 Would anyone really want to read about it? That essay was published in 1999. 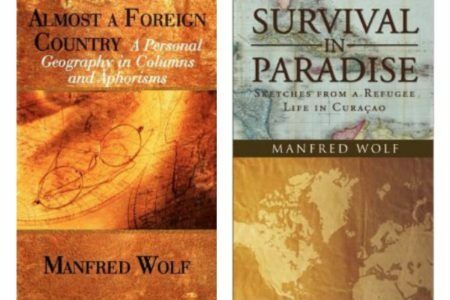 The memoir that emerged, called Survival in Paradise: Sketches from a Refugee Life in Curaçao, was published 15 years later. 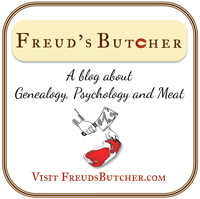 I am particularly interested in this memoir because Manfred Wolf is a cousin — one of the many I discovered when I started a blog called Freud’s Butcher. His history is my history. I guess it runs in the family to take forever to write and publish our memoirs. At the risk of being accused of nepotism, I can attest that Survival in Paradise is excellent. But you can decide for yourself. Here’s an excerpt of the book that I posted on the blog: Survival in Paradise: Southern France.